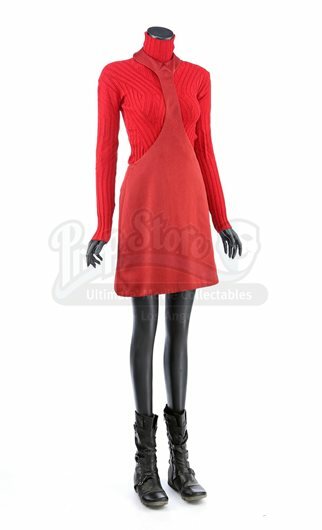 A women's Starfleet cadet uniform from Star Trek. Cadets wore their red uniforms while attending Starfleet Academy in San Francisco. Included with the uniform is a turtleneck sweater (medium), two cutout jumpers (one small, one extra small) and a pair of boots (U.S. 6). The jumpers are made of a synthetic material with a metallic sheen. 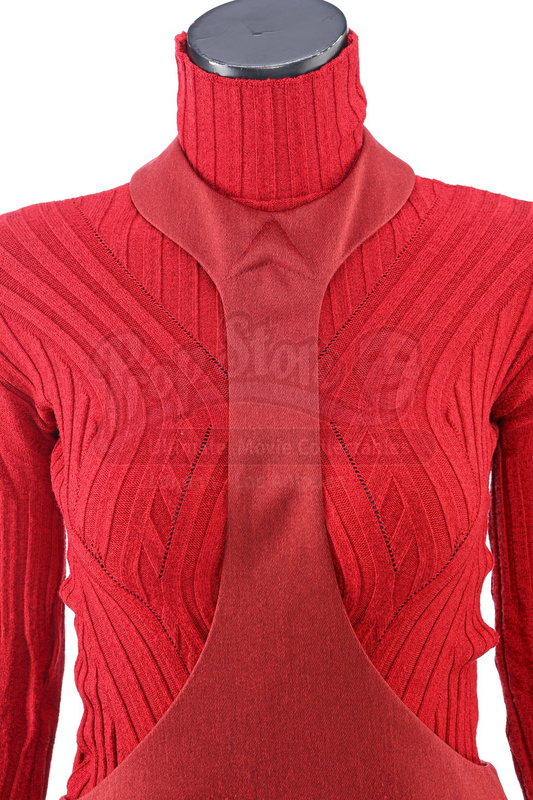 The knit turtleneck features ribbing throughout and is made of a synthetic material. The boots are made of faux leather with decorative straps along the vamp and shaft.